1284057526 -Each new print copy includes Navigate 2 Advantage Access that unlocks a comprehensive and interactive eBook, student practice activities and assessments, a full suite of instructor resources, and learning analytics reporting tools. 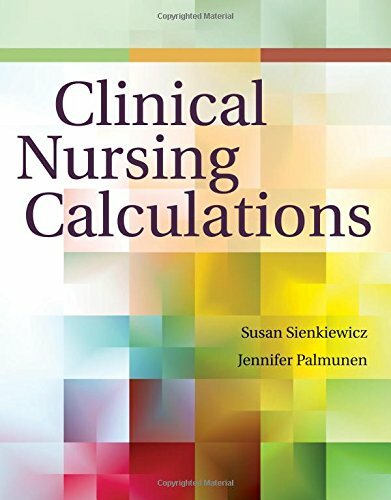 Clinical Nursing Calculations is an essential text for teaching dosage calculation to undergraduate nursing students. The text employs the CASE approach, which is a step-by-step method for performing dosage calculations. The author team draws from extensive experience across the continuum of care to bring readers a truly informative and dynamic resource. Clinical Nursing Calculations has been expertly organized into four sections for easy navigation: Mathematics Overview, Principles of Medication Administration, Basic Dosage and Intravenous Calculations, and Advanced Calculations. In addition to clinical calculation coverage, the text also features expanded content on nutrition, insulin pencalculations, and the legal implications of medication administration. The Joint Commission and the Institute for Safe Medication Practice guidelines regarding safe medication administration are also featured. To facilitate learning, students will find examples in both electronic medication administration record (eMAR) and electronic health record format. This text can be used as a primary text for a dosage calculations course or as a supplemental text within a nursing program or pharmacology course. • Each chapter opens with a “Case Consideration,” which presents a clinical issue including a dosage error or potential error. • Each chapter concludes with a “Case Closure,” where the clinical issue is explained and resolved. • Three methods of dosage calculation are presented side-by-side in table format for every dosage calculation. • NCLEX®-style review questions are included.